Post sponsored by the Saint Jerome Jobs Site Jobs That Everybody is looking for. Surprising, the moment a diver captures the birth of a cute animal in the depths of the Indonesian sea. 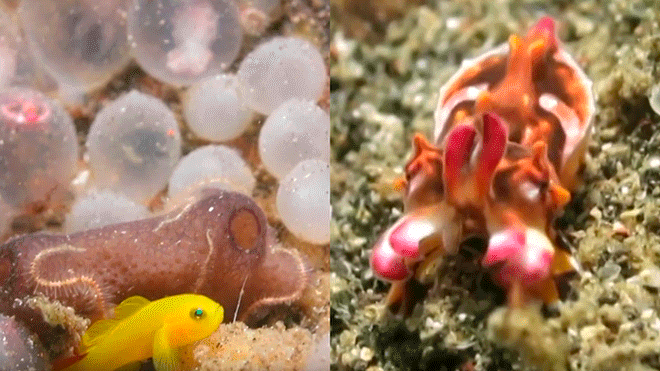 Amazing, the precise moment in which a diver films the birth of a small creature, which was guarded by two fish in the depths of the Indonesian sea, became a trend. A 40-year-old buza named Terrence Yu plunged into the Indonesian sea, without imagining that he would film the birth of a precious little animal. Terrence went down into the depths of the Lembeh Strait, in Sulawesi, Indonesia, when he saw several eggs. The creatures inside were not yet born and were guarded by two yellow fish. 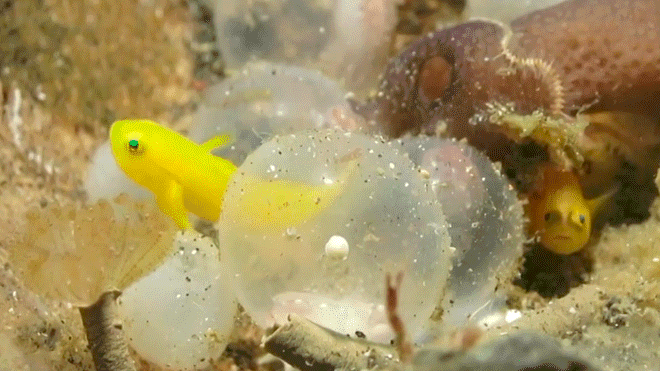 After a few minutes, the man saw that a small creature was coming out of one of the eggs, it was a squid. He was the first of all his brothers to be born. The mollusc immediately goes walking to another side to continue his life and discover the depths of the ocean . The appearance of this squid, had several colours among which orange and white stood out.